Topics: Services, and For Sale. It is hosted by One.com A S Copenhagen, using Apache web server. 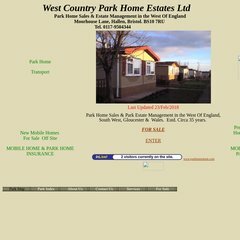 Westparkhomes.co.uk's server IP number is 193.202.110.165. Its 2 nameservers are ns02.one.com, and ns01.one.com. Its average load time is 3145 milliseconds, which is slower than 79% of websites globally.